George Heffley will be facing the worst threat in his life yet and that is the possibility of being sent to a military training camp during the summer vacation. That is the wimpiest possibility in his life yet. 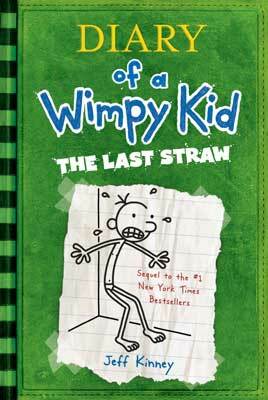 The Last Straw is the fourth book of the Wimpy Kid series. Just like the previous books in the series, The Last Straw is still funny and many of the fun parts were delivered via the comics on every page. However, like what I said in my review of the previous books, this installment of the series lost its wow factor simply because I got sated with the wimpy problems of George Heffley. The characters are still shallow for me to identify with them. I get some laughs at this book, however, after that I generally forgot what is in the book. Maybe this is the main objective of the author, Jeff Kinney. His objective is not to give readers deep appreciation of the characters. The author just wants to give the readers a few good laughs. If this is his objective, then he is quite successful. Visit Before the Eastern Sunset and read about Meksi Coffeeshop located in Limay, Bataan. Also drop by Cyber Imprints and read about how riffing might help you to get incoming links for your blog. I am not sure Lhey. Maybe you can wait because I heard that National Bookstore will be launching their e-book store and I am sure that Bob Ong's books will be included in their e-bookstore.